With the bone-chilling temperatures comes the potential for danger as those in the Houston area attempt to stay warm. HOUSTON (KTRK) -- With the bone-chilling temperatures comes the potential for danger as those in the Houston area attempt to stay warm. "I lost everything," said Isabel Medina, whose apartment off of Windmill Lakes in Southeast Houston was among those destroyed overnight by fire. No one was home, and fire crews were able to rescue her 15-year-old dog. "He was really shaken up. He's covered with soot," she said. While investigators have not yet said what started the fire, she says the neighbor who lives below admitted leaving a fire burning in the fireplace when they left last night. Space heaters, open flames and wood-burning stoves have all contributed to wintertime house fires in Houston. 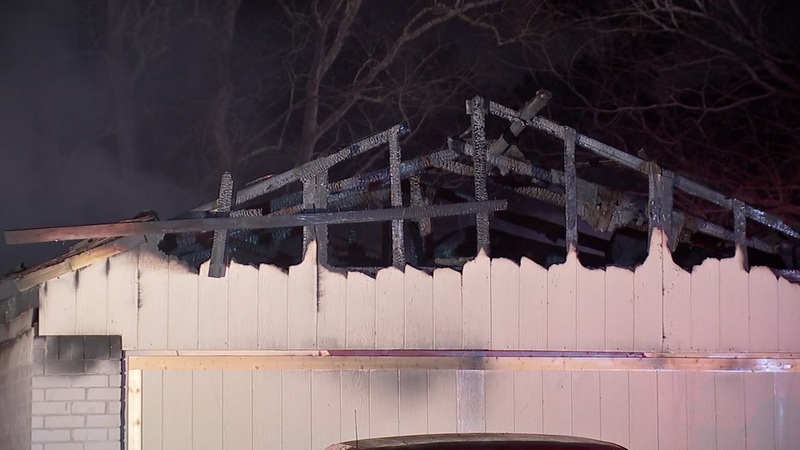 On one of the coldest of nights the year so far, there were at least three devastating fires in the greater Houston area that similarly began in fireplaces. "We look at the inside of the fireplace," said Mark Montgomery with Patterson & Son's Chimney Sweeps. They say this is their busiest season; the company is booked through February. It's critical, he says, to get your chimney checked, whether you're burning gas or wood. He says it's not something you can just eyeball. "If you don't know anything about your fireplace, pretty much have to have a professional come out and look at it," Montgomery said. Gas will burn cleaner than wood, but creosote will still build up over time, and too much of it means danger, he said. He adds that you shouldn't bother with those cleaning logs; that they don't work. He cautions you always to also make sure that the flue is open. The Houston Fire Department says creosote is responsible for nearly one-fourth of all home heating fires every year.